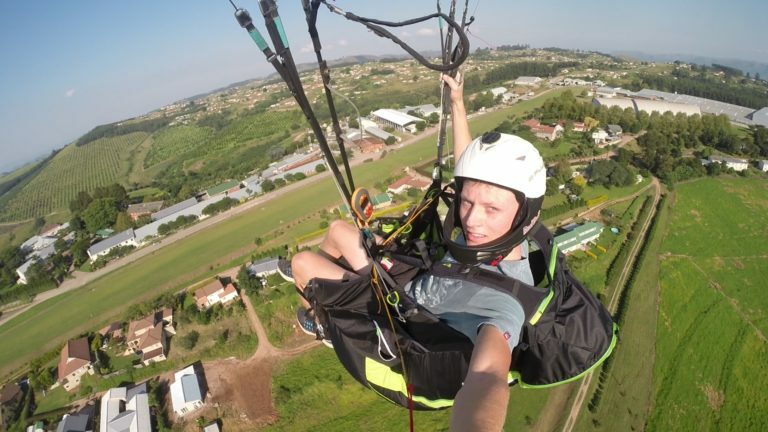 Heinrich started paragliding in 2013, at the age of 15. He progressed quickly, and now owns and flies a Rook2, Queen1, and a Queen2. Heinrich is lucky to live 3 minutes from a paragliding launch and flies 3-5 days a week. When the 777 launched the new look Rook2, he liked the look immediately and has flown with his Rook2 at many different sites across South Africa, including Cape Town, Porterville, Hartbeespoort, Durban, Wilderness, Silverstream etc. He bought an old Queen1 from a friend and enjoyed flying it so much, that he decided the Queen2 is the wing to take him forward, and fly competitions.